On 4 October 2018, Railway workers and their unions had a pan-European action day where workers and union activists mobilised to keep skilled staff on our trains. “You’re Welcome” was the slogan of the action day, echoing the million helpful encounters that European train staff have with their passengers every day. 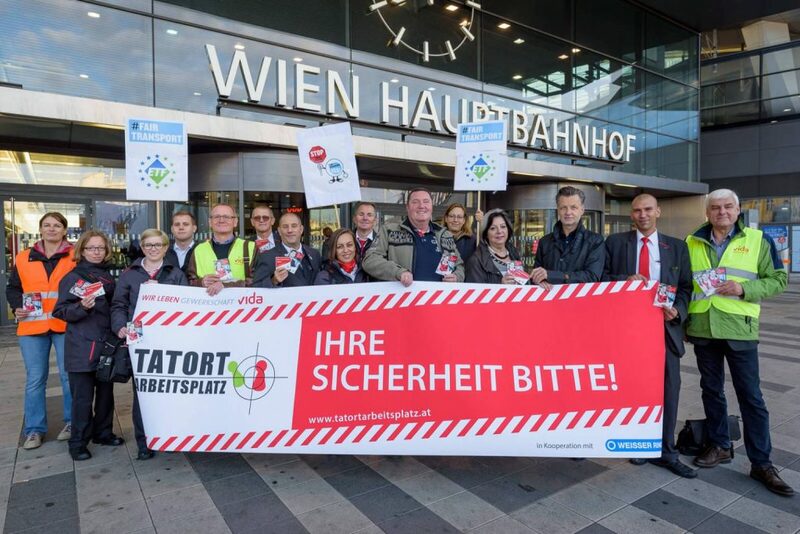 ETF affiliates from Austria, Belgium, Bulgaria, Czech Republic, Denmark, Germany, Italy, Luxemburg, Norway, Switzerland, and the UK contributed to the Fair Transport campaign by explaining to commuters and the general public the varied and vital tasks that railway staff are responsible for.